Luxury 1150 square feet, 3 double bed, 2 bath ground floor apartment with 25ft sq private terrace situated in the heart of La Manga Club Resort. The apartment was fully refurbished in 2017 to include a 3rd double bedroom with sliding patio door leading directly out onto terrace, both bathrooms have been refitted (ensuite with large bath & separate shower cubicle, family shower room to include large walk-in wet room style shower), furniture & fittings upgraded to include minimum 400 thread count Egyptian cotton sheets, luxury soft as down hypoallergenic duvets & luxury towels. Outdoor furniture has also been upgraded to rattan sun loungers & cushions including one rocking lounger. The property has also been redecorated throughout. The private 25ft sun terrace with built-in BBQ overlooks the tennis club & sea, there are 2 communal outdoor pools, & use of the indoor pool complex with changing rooms (Los Olivos guests only). The apartment currently benefits from sitting/dining room with 43 inch Smart TV with SKY sports, netflix etc., FREE unlimited Internet access, BOSE bluetooth speaker (to play music from your iPhone), kitchen with dishwasher, microwave, purified water machine, coffee machine with frother & coffee grinder & smoothie maker. The apartment also benefits from air conditioning & central heating, washing machine & tumble dryer (in family shower room), hairdryers & Baylis & Harding soaps. Washing tablets & dishwasher tablets are also supplied. Situated within a short stroll of the tennis club and the majority of the bars, restaurants & hotel, & within a 5 minute drive of the SPA, a couple of other restaurants & the golf centre with practise putting area, driving range & choice of 3 golf courses. La Manga Sports Facilities: La Manga Club is primarily an exclusive British resort for golf & tennis enthusiasts. There are 3 golf championship courses at La Manga and as "Residents"of this apartment, you are entitled to a substantial discount on green fees (you are advised to pre-book tee times at all times of year). This apartment is located opposite the tennis club, which is regularly the official LTA winter training centre & offers 24 mainly clay courts (again bookings are strongly recommended prior to departure during mid or high season). A tennis academy (both adult & junior) runs regularly (please check with the tennis club for dates). "Residents" of this apartment are entitled to a reduction on court fees, coaching & academy prices. There are also regular visits made by club and international football teams to the selection of football pitches & training areas - the England team practised here pre World Cup ! La Manga Resort: La Manga is a popular destination all year round, offering temperatures circa 65-70 degrees in the winter, and 85-95 degrees in high summer. It is very accessible either from Murcia Airport (20 mins transfer) or Alicante airport (50 mins by car). The resort now benefits from a good number of restaurants & bars - La Finca & Asia are particularly highly recommended for that more exclusive dinner or Luigis do a great pizza ! The resort is set up in the mountains, but within a 10 minute drive of either La Manga's imported beach (with fish restaurant open high summer only) or local beaches. The local market in Cabo de Palos also offers some great bargains !! I own the property jointly with a friend. I play competitive tennis (as a veteran) so use the apartment for long weekends away & to arrange groups of tennis players to travel across from the UK. The co owner visits during school holidays with her family, & loves the size of the terrace & it's views & how safe it is for the children as they get older. It's also great just to stroll out for drinks & to dinner every night rather than have to take a car ! It's the only 3 bed with such a large terrace in Los Olivos. Los Olivos boasts a large, fantastic indoor pool which is heated all year round. It's opposite the tennis club & only a short stroll to most of the bars & restaurants. Just refurbished with upgraded furniture. Free wifi. SKY TV. BOSE sound system. Proper coffee machine. Purified water, connected to mains. Luxury bedding & towels. The apartment is furnished to a very high standard. The rooms are all spacious, and this apartment enjoys lots of extras to include a WII with games for the kids, BOSE sound system, CD player, free wireless internet & 5 sun loungers (including rocking lounger). The terrace enjoys sun all day between March & September (slightly shorter days further out of season) & is in prime position overlooking (but not too close to) the larger outdoor pool, the tennis club & with distant views of the sea. The indoor pool is approx. 25m long, & has a changing rooms/wc area, & is available exclusively to the residents of Los Olivos & their guests. We stayed here in April 2019, with my 3 girls doing the junior tennis academy. The apartment was perfectly located for everything - tennis, crazy golf, restaurants, shops, etc. It was very spacious and well maintained, a real home-from-home. We made good use of the indoor and outdoor pools. The outdoor pools, being unheated, are somewhat chilly at this time of year, so it was great to have use of the indoor heated pool too. The owner was extremely helpful, providing lots of useful information in advance of our stay. 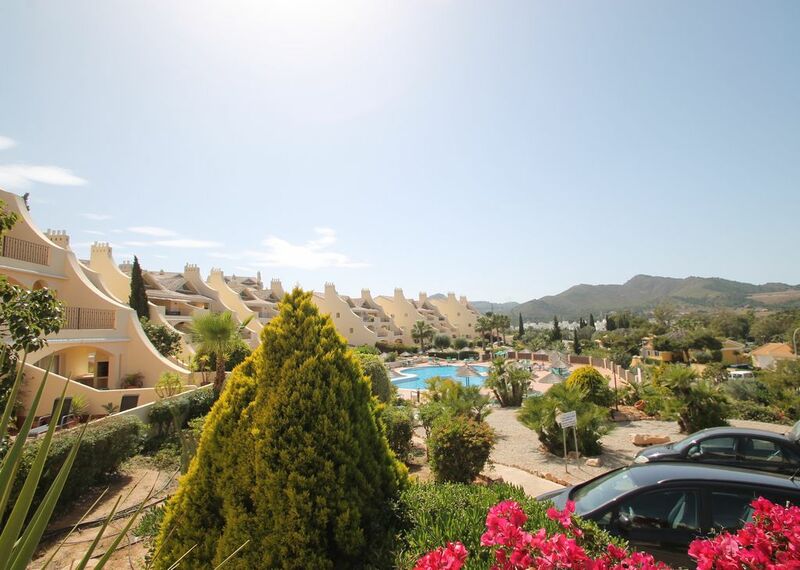 We can't wait to return, and would recommend both this apartment and La Manga Club as a whole. This was our first time spending Christmas in La Manga Club and we all agreed that it was our best Christmas ever! We have stayed in a number of apartments over the years at La Manga and this one was one of the best! Very creative use of space to make 3 bedrooms but yet the apartment is still incredibly spacious. The decor is lovely and it was immaculately clean. Compared to other apartments this was incredibly updated with lovely furnishings. A welcome pack was provided which was a bonus. Excellent location. Despite it being the Christmas period Nicola was very swift to respond to any queries which we were extremely grateful for. Great to have access to Netflixs over the Christmas period. The added bonus here was that the weather was beautiful!! It was like sunny spring every day! We would highly recommend this apartment. Very close to the tennis centre and bars an restaurants , lovely apartment. Clean and spacious property - owner very responsive to emails. Nice apartment on a great resort. This is a nice apartment with an oversized terrace. Great views of the mountains and Mar Menor. The beds are unbelievably large and comfortable. The resort is very well facilitated and there is so much to do. Lovely well maintained pools and close proximity to child friendly beaches. We loved the local resaurants and coffee shops. Paradise for golf and tennis players. Would definitely book again in the future. Golf: La Manga enjoys 3 international standard golf courses plus a pitch & putt. There are frequent tournaments held within the resort all year round, so please book in advance. As Club members, you are entitled to a 50% reduction on green fees. Very competitive rates available for long term winter lets from £800 per month - please call to discuss.